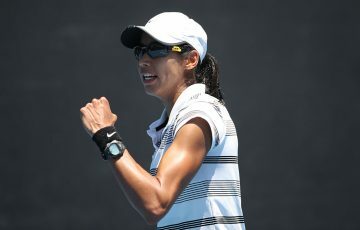 Thanasi Kokkinakis stands one win away from a place in the main draw at Australian Open 2019, as do fellow second-round winners Astra Sharma and Naiktha Bains. 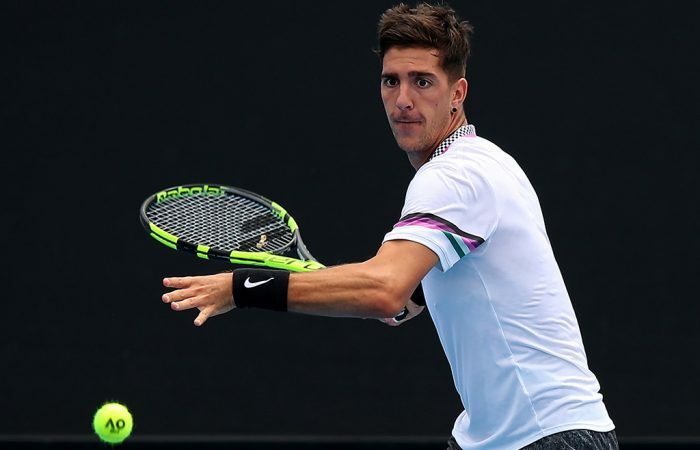 Thanasi Kokkinakis has steadied to seal passage into the final stage of Australian Open qualifying, surviving a wobble before finishing strongly against second-round opponent Sebastian Ofner. 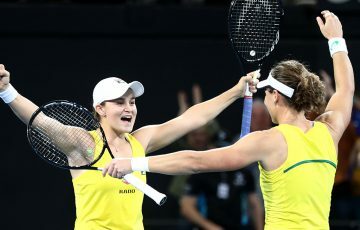 The South Australian defeated the Austrian world No.180, 6-4 7-6(4), losing a break advantage in the second set before rallying in the tiebreak. “I knew I had to raise my bottom level so, when I’m not playing well, I can grind wins. When I had my career (best) year which felt like ages ago, that’s what I was doing well,” he said. 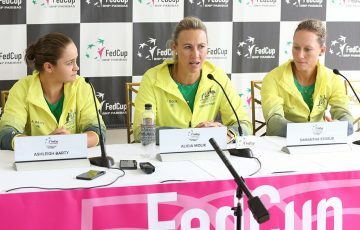 “You’ve got to be on court to be able to do that but I’m starting to do that. 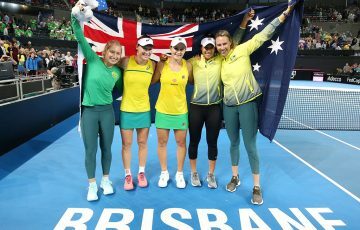 While Isabelle Wallace, Lizette Cabrera, Kaylah McPhee and Olivia Rogowska lost their second-round matches, Astra Sharma and Naiktha Bains triumphed late in the day. Sharma, who a day earlier defeated Wimbledon finalist Vera Zvonereva, marched on with a 6-7(3) 6-2 6-4 win over another Russian, Varvara Flink. A third Russian, Irina Khromacheva, stands between her and her first major tournament main draw. 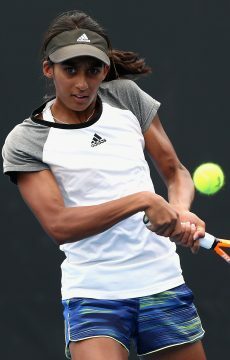 Bains did it easier, defeating former world No.32 Kurumi Nara 6-4 6-4 to set up a qualifying decider with distinctive Frenchwoman Jessika Ponchet. This is the further Bains has ever advanced in a Grand Slam qualifying draw. Kokkinakis came out at Melbourne Park on a mission and won his first four service games to love. It took the 22-year-old eight break points to finally crack the Austrian, allowing him to take a routine first set in 40 minutes. Kokkinakis, the only Australian man left in qualifying, was playing it safe and as consistently as possible, staying at the baseline and allowing the Austrian to make the mistakes. Up a break at 4-3, and yet to face a break point on his own serve, Kokkinakis’ biggest issue appeared to be his own footwork – rolling his ankle twice on Show Court 3. Then he dropped his head, losing six points in a row to be broken for the first time, giving up the chance at a trouble-free passage. 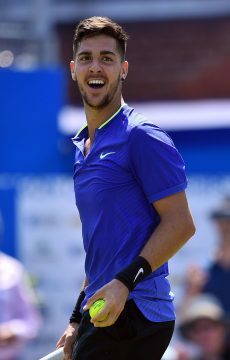 Kokkinakis, who claimed a career-best win over Roger Federer last year before succumbing to injuries, was able to come from behind in the tiebreak and spare himself a third set, winning in one hour and 38 minutes. 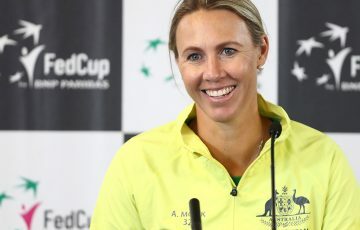 On Friday, he’ll face Poland’s Peter Polansky for a spot in the main draw – having beaten him recently in Brisbane – after the Canadian saw off Blaz Rola in three sets.